A number of business accounting software are available in market these days but quite few of them satisfies the customer’s needs in an easy way. A number of software has emerged in the past few years which makes the competition tough for market leaders like Tally. Small businesses generally required entering of simple transactions and generation of basic reports. They are not required to have a complex ERP package. Their aim is to know their sale, purchase, cash balances and to complete their legal formalities. We have compiled the list of most reputed and used accounting software used mainly in small and medium enterprises. No doubt Tally is the most famous and widely known accounting software in India for over two decades. Starting with the MS-DOS based edition tally has seen many changes and is now a complete ERP package in itself. Bundled with the VAT reports from all the states of India, the latest version is Tally ERP 9. Single-user version is priced at Rs. 21,000 and multi-user version is at Rs. 62,000, which is quite on the higher side and also rs. 4,000 per year if you want to get updates. You can also use remote desktop version in which you can access tally from a remote location but your server should be switched on for the whole time. Being highly priced it is also the most pirated software in India. But a huge number of users of pirated version reports corruption of data, data mismatching and loss of data. We highly recommend to use only the licensed version of Tally. RefineBooks is a TaxAdda venture. A majority of small and medium businesses requires only basic accounting features but need to pay for all advanced features. We have built RefineBooks for such small and medium businesses. It has all features a SME requires and also has features like Save & Copy for fast working. We are regularly adding new features on basis of our user’s feedback. Also, it is 100% Free till 31st March 2024, which is almost 5 years from writing of this article. So you should definitely try it as there is no risk. If you don’t require advance features like multiple warehouses, multiple currencies, payroll etc then it’s definitely a great option for you. Anywhere access, auto backup as online application. Multi warehouse and multi currency features not available. Quickbooks from Intuit is the most widely used accounting platform in the World. 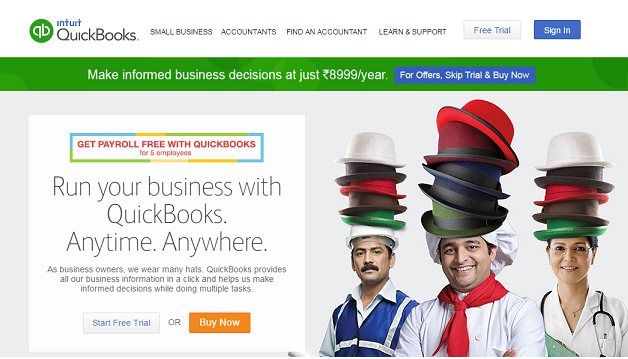 Quickbook launched its Indian version in 2012. Indian version is still available in online mode only. One important feature of quickbook is its ability to import data from a number of bank’s website and auto allocate it to the accounts. 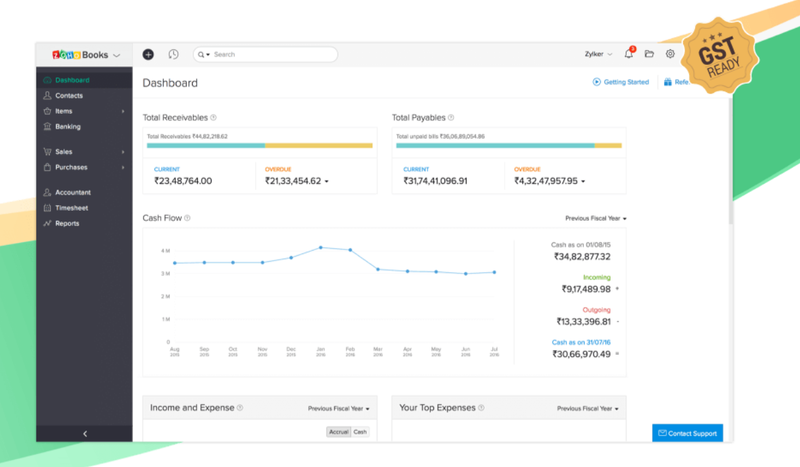 Though quickbook is a world leader in accounting software but its Indian version’s working is quite different from which the Indian accountants are used to be. Price of quickbook is rs. 4,999 per year which is also on the higher side. Busy is famous for its inventory features. It provides its software in three versions basic, standard and enterprise. Price exclusive of taxes are rs. 7,200, 13,500 and 19,800 respectively for aforementioned versions.The company claims to have more than 6,00,000 users. Zohobooks accounting software is another famous accounting software in India. Zoho company is mainly famous for its CRM but now company is targeting its accounting software in Indian Market. However it has some confusing working pattern and may sound confusing to Indian accountants. There are more than 100 accounting software and web applications providing accounting services in India. If you have a good budget then you can go for Tally but if you are a small business not requiring advance features then you can go for Refinebooks. A comparison of the above mentioned software is given to help you choose the right application for you and you can also read our article to know which is better Accounting Software or Online Accounting Application. *Online remote desktop version is available in Tally. + Pricing of basic version. Higher price plans are available.